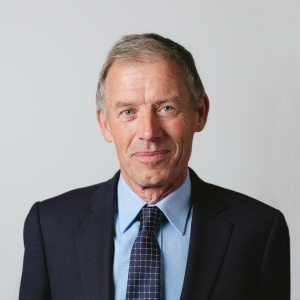 Terry Sissons is a barrister, arbitrator and mediator with over 40 years’ experience as a lawyer in New Zealand. He currently divides his time between Wellington and Marlborough where he has chambers at 219 Hawkesbury Road, near Renwick. Terry has acted as counsel in a wide variety of cases before the New Zealand courts, including contract and property disputes, negligence, estate, trust and relationship property and equitable claims, insolvency, securities enforcement, fisheries, gaming, professional disciplinary proceedings, judicial review and arbitrations both as counsel and arbitrator. Terry Sisson’s main areas of practice are arbitration and mediation and professional disciplinary proceedings. Terry has acted as arbitrator in disputes involving commercial contracts, distribution and franchise agreements, commercial leases, rent reviews, construction and engineering, insurance, professional and farming partnership dissolutions, real property and trusts. He has also carried out independent investigations into matters affecting the racing industry, professional sport and local government. He has acted as mediator in disputes involving relationship property, company liquidation, partnership dissolution, commercial leases, misfeasance in public office, professional complaints and resource management. He acts pro bono as mediator of complaints referred by Wellington based Standards Committees of the NZLS. His experience before professional regulatory bodies includes acting as prosecuting counsel for the Professional Conduct Committee of the New Zealand Institute of Chartered Accountants and acting as legal assessor for the New Zealand Registered Architects Board in relation to disciplinary proceedings. Terry served on the council of the New Zealand Bar Association from 1988 to 1992 and 2003 to 2008 and as Vice-President from 2007-2008. He was a member of the council of the Arbitrators & Mediators Institute of New Zealand from 2008 to 2014 and currently acts as its complaints officer and fellowship assessor. He is a member of the AMINZ panel of arbitrators. He prides himself in getting to the point quickly, analysing the relevant evidence and issues and providing practical, cost-effective advice and solutions. His practice involves contract and property disputes, negligence, estate, trust and relationship property and equitable claims, insurance, professional disciplinary proceedings, judicial review and arbitrations both as counsel and arbitrator. From 1975 to 1986 Terry was a partner in a Christchurch law firm acting as a general practitioner involved in property and business transactions, estate planning and administration, as well as civil and criminal litigation. During this period, he tutored in contract and commercial law at Canterbury University. Following 5 years practising as a barrister and arbitrator Terry joined Simpson Grierson as a partner, acting mainly for large financial organisations, state owned enterprises, Crown entities and local authorities. He returned to the independent bar in 2002. He now divides his time between Wellington and Marlborough. Over recent years Terry has sought more appointments as arbitrator and mediator. Presenter to AMINZ annual conferences on Costs in arbitration and Interim Measures. McLanahan & Tan v NZ Registered Architects Board  NZHC 2276 counsel for Board in judicial review of Board’s decision to dismiss a complaint against an architect. New Zealand Climate Science Education Trust v National Institute of Water and Atmospheric Research Ltd  1 NZLR 75 – acted pro bono as counsel for the plaintiff in a claim for judicial review of the respondent’s New Zealand climate record. Murray & Mills v Wellington City Council  NZHC 3446 – counsel for plaintiff in judicial review of decisions of WCC to remove two conditions attached to an encroachment licence which protected the plaintiffs’ frontager rights. Walker v Collins HC Christchurch French J CIV-2007-409-002209 25 February 2009 – counsel for plaintiff trustees in an application for directions in relation to the value of trust assets for distribution.